Masters Of The Universe Classics: Interview With DC Comics "Masters Of The Universe" Writer Paul Kupperberg! Hey all! Thought you might enjoy this... 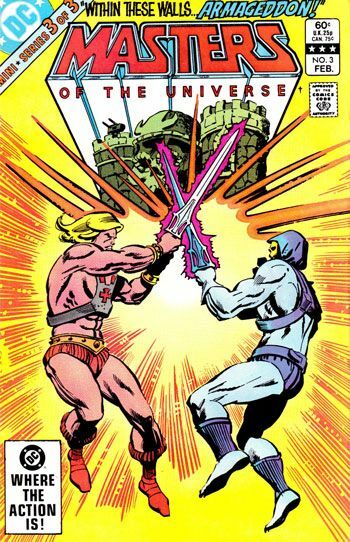 Here's an interview I recently conducted with Paul Kupperberg, the writer of the 1980's DC Masters Of The Universe Comics! 1.) What was your job at DC at the time when the "Masters Of The Universe" was presented to you? What other work were you doing there that would have lead them to choose you for the project? I was freelancing for DC at that time, writing a wide variety of things, including Tales of the Green Lantern Corps for editor Dave Manak. Dave and I always got along and worked well together, so when he was handed the Masters of the Universe license, I guess he decided I could do the job and do it without a lot of headaches. 2.) Take us back to how you got involved with the franchise if possible. How did Mattel present this to DC and what did they expect out of it? Were they treating this like it was a big deal or was it more of just a quick tie-in to help sell some toys? I have no idea what Mattel expected. Other than preliminary discussions with Dave, my first exposure to He-Man and everything was when I got down on DC’s conference room floor with a big box full of prototype toys and accessories. 3.) Oh wow! To have been a fly on the wall at that meeting... Do you remember the name of the rep? Can you give us a little more detail on how this brainstorming session worked? The whole session was pretty loose, as I recall. 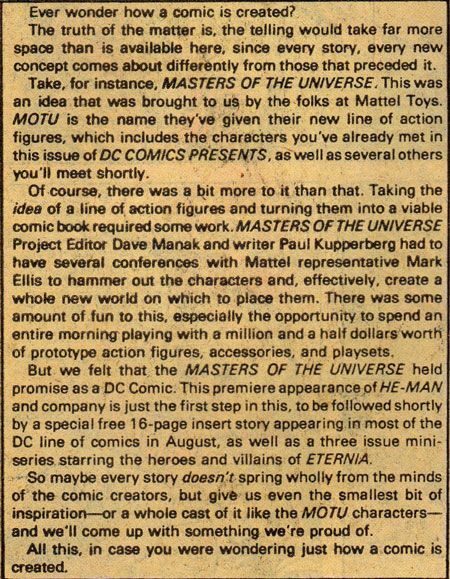 The Mattel rep was named Mark Ellis...there’s a little note about MOTU and that session in the text page of DCCP #47 that mentions him and the fact that we got to play with a million and a half bucks worth of prototype action figures and playsets. He did a little informal presentation to introduce the characters and their world, what ever they had come up with at that point, and then pretty much sat back and let Dave Manak and I play with the pieces and brainstorm ideas. The whole Prince Adam/He-Man dichotomy was, as I recall, already established, but since we were introducing the character next to Superman, we beefed up that parallel by giving him Clark’s ‘scaredy-cat’ cover. 4.) How responsive and free were they with the He-Man concept at this point? They were totally free with the concept. They had the barest bones of a background story, little more than names and powers. Dave and I tossed around ideas with the rep and he seemed receptive to everything. I imagine they were happy to have DC not only pay for the license, but provide them with back story and origins as well. 5.) Were there any concepts that you presented that were deemed strictly off-limits by Mattel? I don’t recall them having objections to anything we did. 6.) 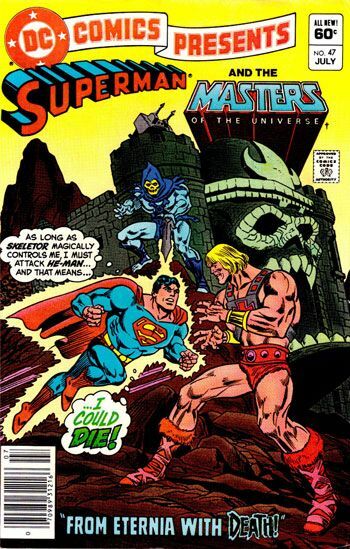 Instead of throwing He-Man into his own series right out of the gate, DC decided to introduce the concept in 2 crossovers with Superman. In doing so, the "MOTU" universe became tied into regular continuity instead of existing as it's own seperate entity. Do you have any idea what the reasoning was behind this decision? I’m sure it was business, licensing decision. Mattel was paying big bucks for the promotional crossover and they wanted their guy standing next to Superman as much as possible. This was back in the day when there was still this belief that comics could actually drive merchandising dollars, or translate into actual sales from the promotional bounce the comics get from being tied to the merchandise. I doubt it was true then, and it’s certainly not true now. Anyway, overall, no one was thinking about continuity when we did this. No one was going to reference Clark’s visit to Eternia in some story a year down the road; in my mind and I’m sure in the minds of the Superman writers in general in those days, this story was never meant to play into anybody’s continuity. It was just a licensing job, no different than a comic I’d written around the same time for Radio Shack featuring Superman plugging their home computers; ain’t no one trying to work the TSR-80 Computer Whiz Kids into the next issue of Action Comics, so why would we do so with a toy tie-in license? 7.) 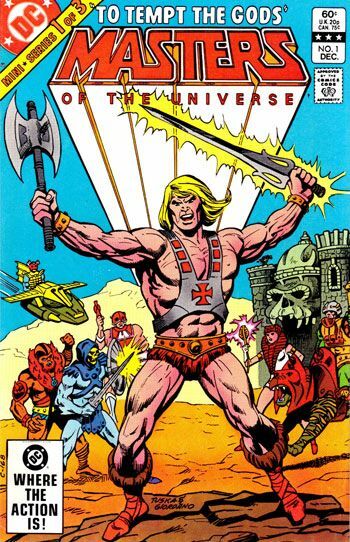 Were you playing homage to any specific genres or stories when fleshing out the He-Man concept? Many fans point to the similarities between Zodac and Metron and naturally assume that the character is loosely based on him. None of the above! 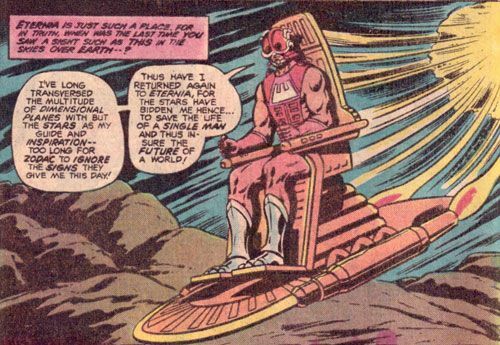 I don’t remember making the Kirby New Gods connection at the time, although I’m sure I must have seen it had it pointed out to me, but I’m not very big on the whole ‘homage’ thing. You call it ‘homage,’ I call it ‘cheating.’ Kirby already created Metron. If I need Metron, I’ll use Metron, not create a second-generation rip-off that’s not only NOT going to be as good but is going to make people point and see that I don’t have any ideas of my own. Julius Schwartz used to call a certain group of writers he worked with “archaeologists,” because all they ever did was dig up everybody else’s old characters and bits and use them rather than creating something new. 8.) Are you aware of how well the mini-series sold? Did DC have any plans beyond those issues that you were privy to? No idea how it sold, although I imagine if it had done significant numbers there would have been more. 9.) The Filmation series bible written by Michael Halperin seems to include many of the concepts from your comics... but omits others. 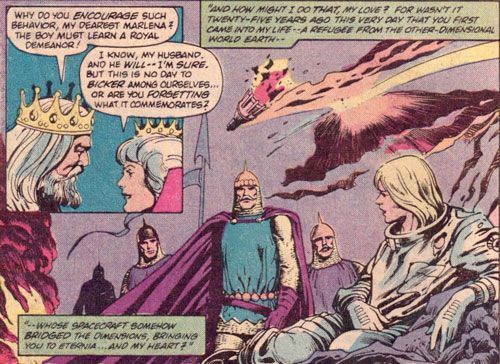 Many fans attribute a lot of the He-Man mythos to that bible, thinking it came first... but the dates for the comic work seem to point the other direction. 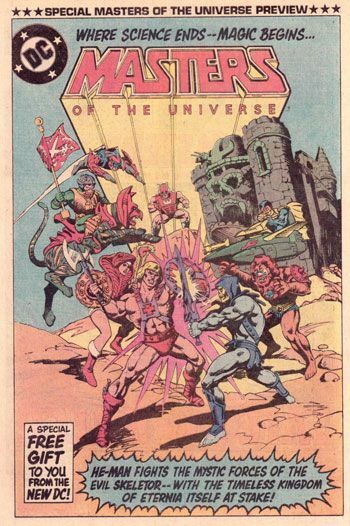 Were the ideas of He-Man having a secret identity, the character of Prince Adam, He-Man's mother being from earth, and other story elements all yours or did those come from Mattel? I don’t remember the specifics, sorry to say. But there was no bible around when I was working and, to tell you the truth, I never watched the cartoons to see how much of what I came up with is in them. I’m pretty sure the Prince Adam secret identity was a Mattel concept (two action figures for one character, a la Clark Kent and Superman). His mother coming from Earth might have been mine, but I wasn’t that invested in the character for a lot of the assignment to stick in my memory. It’s only in retrospect that it became a case of me having been involved in the creation, however tangentially, of a major pop cultural icon. I usually mention MOTU in the same breath as the Power Rangers, the proposal for which I passed on at DC before the show was on the air, dismissing it as one of the stupidest things I’ve ever read. I stand behind that assessment to this day, but it was one of the stupidest thing I’ve ever read that went on to make billions of dollars. 10.) Speaking as a fan, the DC Comics version of He-Man is one of my favorite interpretations of the character ever produced. You mention that it is only in retrospect that you see the part you played in the creation of He-Man... but what's it like knowing that you had a hand in creating something that still resonates with the fans nearly 30 years later? I’ve had my hand in some of the great, maybe MOST of the great, comics and cartoon icons of my time, from Superman to Bart Simpson to Archie Andrews, and every time I get to play with any of these characters, it’s a thrill. I mean, how cool is it to have been one of the main Superman writers in the pre-CRISIS years? Or to see something you’ve created be revived to have a major impact on the entire DCU? Hell, look at all that’s going on in DC storylines these days; half of the concepts and characters those guys are building their major plotlines on these days seem to come from the stories guys like Bob Rozakis and I wrote in the 1980s. 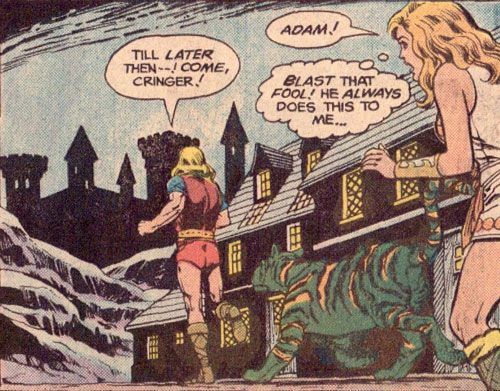 But He-Man is kind of weird. It was, at the time, a paycheck. I was 27 years old when I wrote it, too old to really care about this stuff on a fanboy level, but I certainly took enough pride in my work that I wouldn’t have turned out the script just for the bucks. I guess that this commercial job turned out to contain something that endured is really just a bonus...and, yeah, it’s double-cool to be able to point to something so universally recognized as MOTU and tell people that you had a hand, no matter how small, in making it come to life.